Billain (Adis Kutkut) first came to our attention making drum and bass sounds (see the video right), in his home city of Sarajevo, from every-day objects. Needless to say, we have been big fans ever since. I am a producer, sound designer, and overall audio “scifi” visual design enthusiast for 16 years now. I work under the alias 'Billain' and 'Billy'. 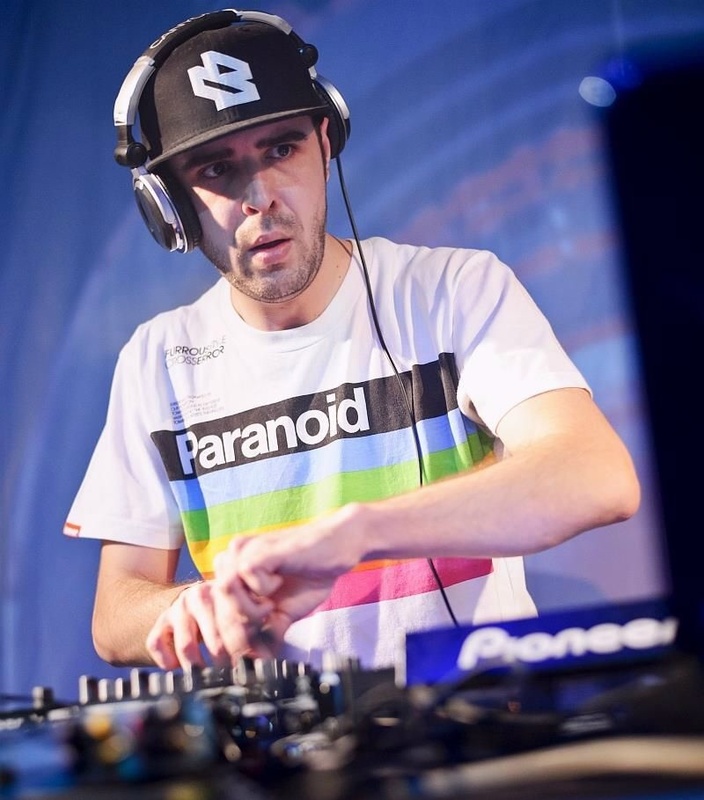 My DnB works can be found on labels incuding Syndrome Audio, Citrus, Legendary Bad Taste, Rise Audio, Mindtech, Civil Music, Hospital, that have secured me airtime on BBC Radio 1 as well as a debut feature on the world-renowned UKF platform, with my FL Studio project, "Colossus EP". I started with techno in 1998, walked through Hip-Hop “beatmakerism” for various groups and artists, and ended on DnB till present. From that to tons of multi-genre experiments in 2000, with freelance jobs for highly demanding international clients to the present. My freelance tracks include work for Qdepartment based in NewYork, known for work on establishment, a test movie for District 9 and a trailer for Prometheus. 3d mapping in homeland, and more in the process. I am also a member of the Bosnian DnB collective known as Kontra, which established the drum and bass scene in the country. My main works are under 'Methlab Agency', which gathers sound, visual and other innovative ideas from all over the world. I remember I found FL Studio pretty innovative, and there was nothing similar (close today but still isn't) to the idea. I was using other softwares during my techno period, but I was always missing some freedom in a type of "interconnectivity" urge, so to speak. In my research, I remember stumbling upon Fruity Loops, which appealed to me on multiple levels, it was a good formula for curiosity, and I was immediately hooked. The workflow and modularity are still so profoundly easy and deep, at the same time, the options in FL Studio grow exponentially. I remember making some templates with automations automating automations for sound design, I would call those projects 'fractal loops'. FL Studio studio is my main operating system for music composition, it's where literally everything happens, and/or gets finished. This includes both my music production and sound design. I did 3 a hour documentary, several movies, 3D mappings, all scored using videos in Fruity Video Player on second monitor. Not the most conventional way to do it, but that way I didn't need to leave my main platform. My ears are locked on FL Studio, my work is the details. I always use Dynaudio speakers, from the Dynaudio BM6 to BM12A now, and mastering is done on Dynaudio AIR20. Home toys include a Fireface UCX, Access Virus Ti Snow, Waldorf Blofeld, Focusrite Compounder, Sherman Filterbank, Otari mx5050 tape, Beyerdynamic DT990pro, mics and Zoom PCM recorders.